NOT SURE WHAT CITY TO MOVE TO IN AUSTRALIA? Date 02.12.2015 If you’re at the beginning of migration journey or even once you’ve got your visa, deciding what city you’ll move to is a big thing to consider. Is it right for your family? What kind of atmosphere are you looking for? Can you afford to live in certain places? What kind of transport is available? 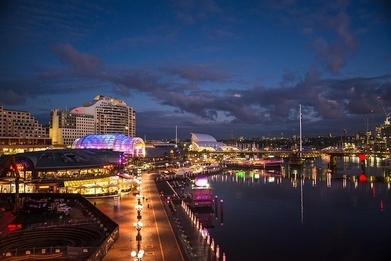 This article will inform you on different aspects within the different cities of Australia. Whether you may be moving alone or with your family, use this article to give you an idea about what you might be looking for and what cities may be best suited to you! Moving to Australia offers a wealth of opportunities for those who live here – so much so that it is known as the ‘lucky country’. Its eight states and territories have distinctly individual climates, cultures and characteristics, so if you are considering relocating and are deciding where to move to in Australia, you will be spoilt for choice. Whether you prefer the subtropical climes of Queensland to the cooler winters of Canberra or the hustle and bustle of a metropolis like Sydney to the quieter laid-back lifestyle of Darwin, there is a place for you. Australia’s richly diverse cities and stunning natural beauty make it perfect for living, working and playing wherever you decide to call home. Adelaide Brisbane Canberra Darwin Gold Coast Melbourne Perth SydneyCarry on reading this article and find out about each city!